Perfection Under A Red Umbrella: Lord of the Flies, Swatting at Grandmothers! Team Obama, never ones to let a 'crisis go to waste' called for a Swat Team to control a gathering of some 200 or more peaceful Tea Party protesters in Quincy Illinois, where President Barack Obama made a speech on Wednesday at the Oakley-Lindsay Center. How utterly foolish can this administration be, they allow our borders to be open sieves, have FBI agents on the battlefield reading enemy combatants Miranda Rights, dismissed the Black Panther Voter Intimidation Case, and will not cooperate with the Senate oversight committee to thoroughly investigate the Hassan Nadal attack at Fort Hood. His Administration wants Attorney General Holder to give admitted terrorist show trials in New York. And they have the audacity to send a Swat Team to intimidate Grandmothers and peaceful citizens for carrying signs and letting him know they will not vote for his party. 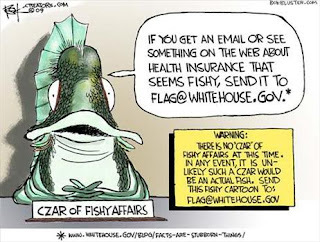 One would think that the fishing incident would have been lesson enough when staffers in the bowels of the Whitehouse set up a website for folks to turn themselves or their neighbors in for not supporting Obama's precious Healthcare bill. Remember flag@whitehouse.gov? Are the President of the United States and his team so thin skinned that that they are rattled by a small peaceful protest rally in the middle of a small town in Illinois which is indicative of the objections of the majority of Americans to this administration's policies and efforts? 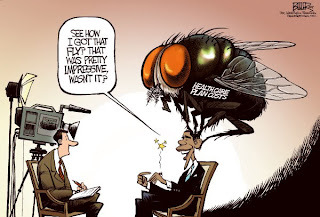 Apparently this President, and the Democratic Party in the Congress and Senate along with the main stream media believe that it is somehow appropriate to continue to pass legislation based on lies that they have not read, bills that will forever alter this great Republic. Does he really expect, really think for a moment the voter’s are going to remain silent and passive to the dismemberment of this Republic? Is he so arrogant to think he can drop in and give a speech filled with mischaracterizations and antithetical to what most voters want while ignoring or outright lying to us, his constituents? Not only does it appear that President Obama does not understand who he works for, it appears he has also forgotten some information in our founding documents. I would like to add especially the freedom of speech and the right to peacefully assemble. 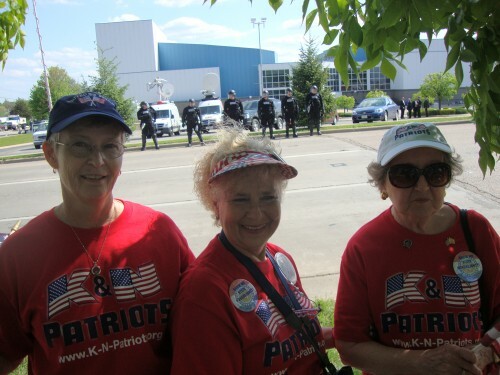 “Quincy Tea Party members wanted President Barack Obama to know they were present Wednesday afternoon during his appearance in Quincy. Urged on by people with megaphones, the crowd shouted slogans, among them "Remember in November" and "You work for us." November 2010 cannot come soon enough, nor can November 2012.